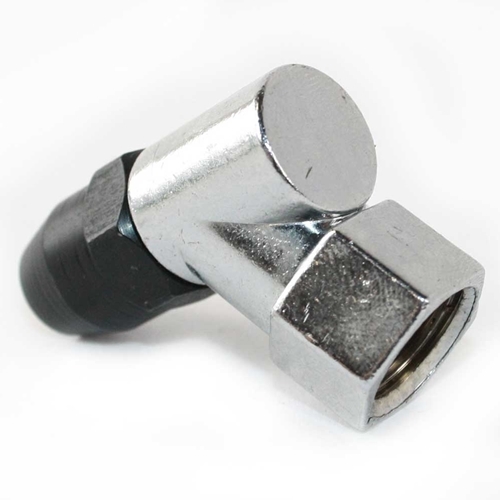 Interstate Pneumatics T07 1/4 Inch Hose Barb Angle Ball Foot Chuck. 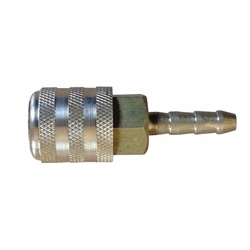 Interstate Pneumatics, brand new, 1/4 Inch Hose Barb Angle Ball Foot Chuck, T07. 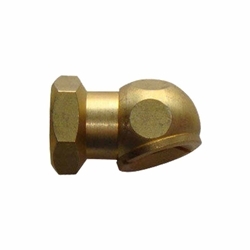 Solid brass chuck precision machined for leak-free performance. Straight design for easier connection. 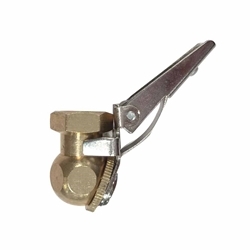 Quick-release lever for easy removal. Great effort-saver for large inflation jobs. Heavy duty solid brass construction. Interstate Pneumatics T03 1/4 Inch FPT Angle Ball Foot Chuck w/Clip. 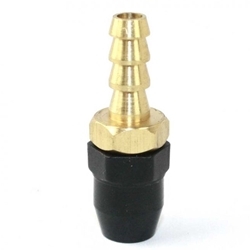 Solid brass chuck precision machined for leak-free performance. Straight design for easier connection. Quick-release lever for easy removal. Great effort-saver for large inflation jobs. Heavy duty solid brass construction. Angled Ball Foot Chuck with Clip. Machined brass body, 1/4" NPTF inlet threads, internal shut-off valve - for use on Live Air Lines Only. The clip locks chuck onto valve stem for "Hands-Free" operation. Fits long valve stems. Interstate Pneumatics T04 1/4 Inch FPT Angle Ball Foot Chuck. 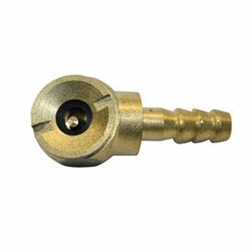 Solid brass chuck precision machined for leak-free performance. Straight design for easier connection. Quick-release lever for easy removal. Great effort-saver for large inflation jobs. Heavy duty solid brass construction. 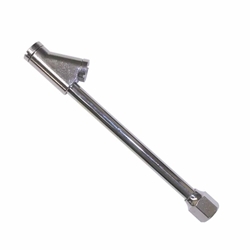 Interstate Pneumatics T06 1/4 Inch FPT Straight-In Tapered Chuck. Solid brass chuck precision machined for leak-free performance. Straight design for easier connection. 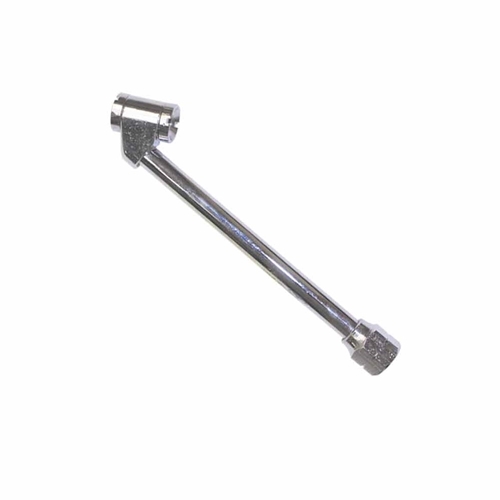 Quick-release lever for easy removal. Great effort-saver for large inflation jobs. Heavy duty solid brass construction. Straight-in Tappered Chuck. 1/4" NPTF Inlet threads, internal shut-off valve - for use on Live Air Lines Only. 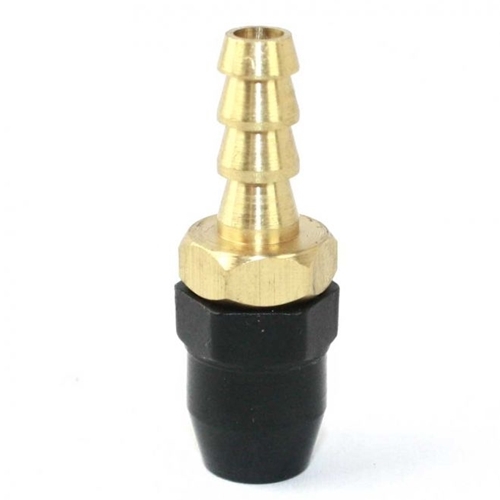 Ideal for use on recessed valve stems. Interstate Pneumatics T46 1/4 Inch Straight-in Tapered Chuck. Straight-ln Tappered Chuck. 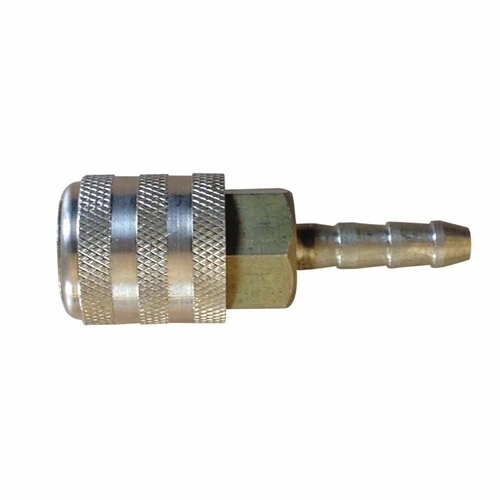 1/4" Hose Barb Inlet threads. 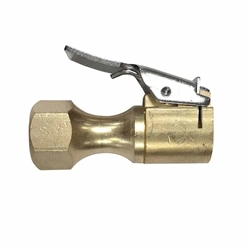 No internal shut-off valve - for use on Inflator Gauges Only. 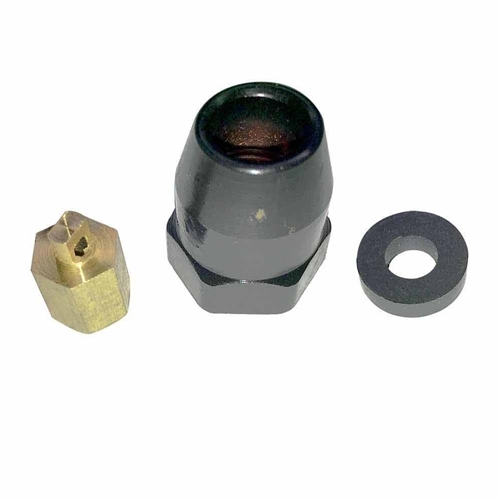 Ideal for use on recessed valve stems. Interstate Pneumatics T08 1/4 Inch FPT Straight-In Dual Foot 6 Inch Truck Chuck. This is a new dual head all metal tire pressure gauge. Great for monitoring tire pressures. Perfect for mechanics and all drivers. Straight-ln Dual Foot 6" Truck Chuck -1/4" NPTF inlet threads, internal shut-off valve. Designed to fit both valves on dual wheels. Interstate Pneumatics T36 1/4 Inch FPT Straight-in Tapered Chuck w/o Internal Shut-off Valve. Straight-in Tappered Chuck. 1/4" NPTF Inlet threads, without internal shut-off valve - for use on Inflator Gauges Only. 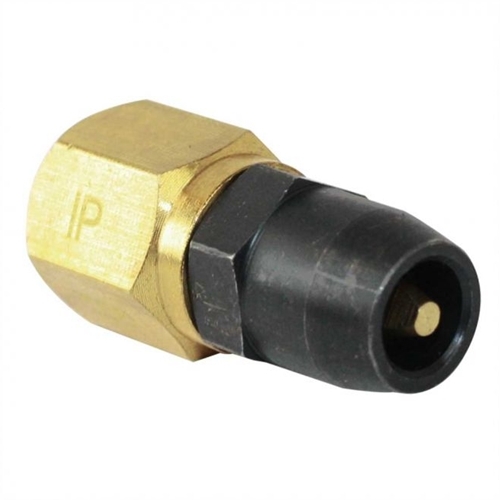 Interstate Pneumatics T35 1/4 Inch FPT Angled-in tapered Chuck w/o Internal Shut-off Valve. Angle-in Tappered Chuck. 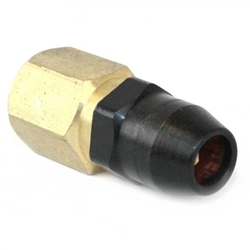 1/4" NPTF Inlet threads, without internal shut-off valve - for use on Inflator Gauges Only. Interstate Pneumatics T37L 1/4 Inch FPT Dual Foot 11 Inch Truck Chuck. Dual Foot 11" Truck Chuck - 1/4" NPTF inlet threads. 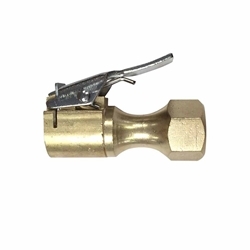 No internal shut-off valve- for use on Inflator Gauges Only. Designed to fit both valves on dual wheels. Interstate Pneumatics T08L 1/4 Inch FPT Straight-In Dual Foot 11 Inch Truck Chuck.. This is a new dual head all metal tire pressure gauge. Great for monitoring tire pressures. Perfect for mechanics and all drivers. Straight-ln Dual Foot 11" Truck Chuck -1/4" NPTF inlet threads, internal shut-off valve. Designed to fit both valves on dual wheels. 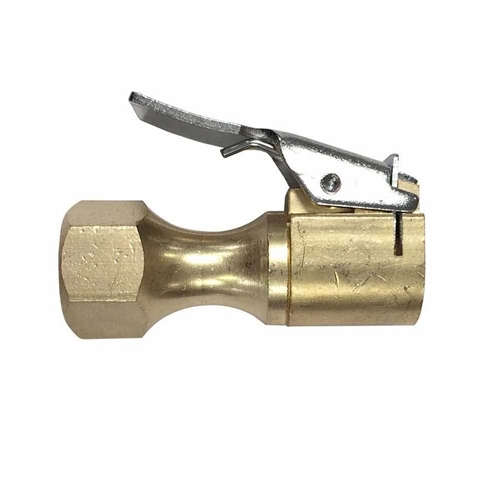 Interstate Pneumatics T19 Sleeve Lock Brass Chuck 1/4 Inch Female NPT. 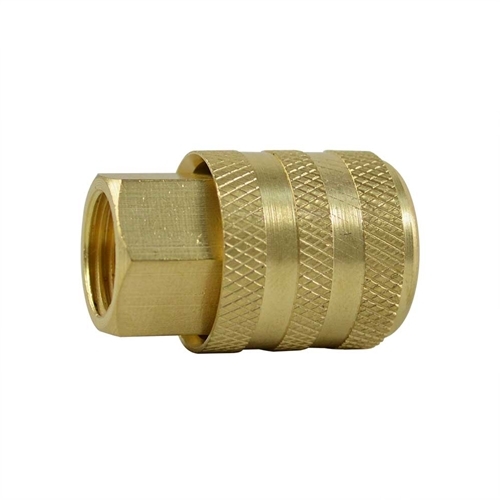 has machined brass body, 1/4" NPTF inlet thread, internal shut-off valve for use on live air lines only. The sleeve locks the chuck onto valve stem for "Hands-Free" operation. Fits long valve stem also. Interstate Pneumatics T20 has machined brass body, 1/4" hose barb, internal shut-off valve for use on live air lines only. 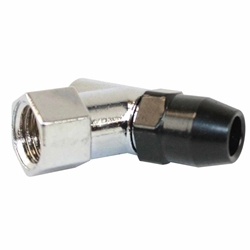 The sleeve locks the chuck onto valve stem for "Hands-Free" operation. Fits long valve stem also. 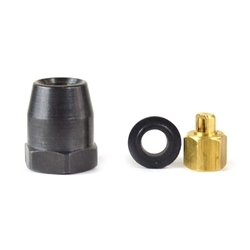 Interstate Pneumatics TCRK Tire Chuck Repair Kit (Gasket, Brass Tip). Tire Chuck Repair Kit (Gasket, Brass Tip).